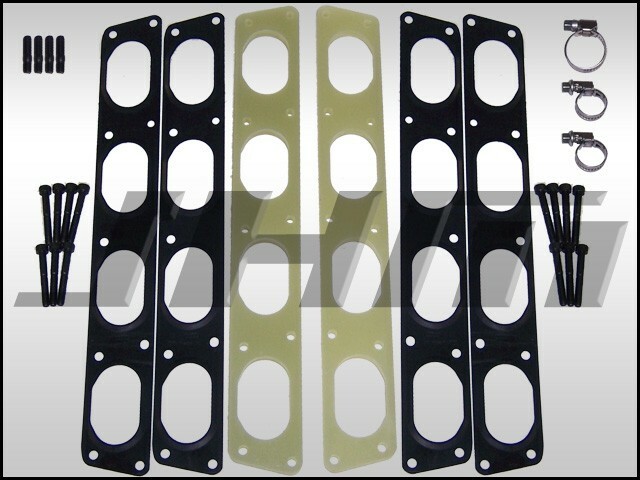 Introducing the JHM 4.2L V8 intake spacers. 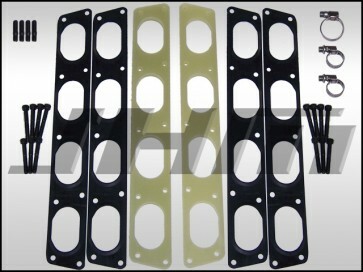 They are 8mm thick and CNC machined out of high quality materials. What do they do? They help bring your intake temps down by insulating the intake manifold from the heat coming from the cylinder heads due to combustion. Thus creating a cooler and denser intake charge which helps add more tq and hp, gear after gear! They also add a little more torque down low due to the slightly longer runner created by the spacer. All in all a great mod for the money. With JHMs testing we found a gain everywhere in the rev range from 2000 rpm to 7000 rpm. This was done with acceleration rate calculations in 3rd gear from logs. The BEST part is that we saw that the car didn't slow down after repeated pulls due to an extremely heat soaked intake manifold bringing the intake temps up. Bottom line, the longer we beat on it the better it performed vs. the tests without the spacers. Fitment: 4.2L 40v (5 valve per cylinder) V8 in the B6/B7 S4, C5 A6 and others with the 4.2L 40v V8. NOTE: video was done on a B6/B7 S4, on other 4.2l V8s it may be slightly different but the video should be very helpful still. 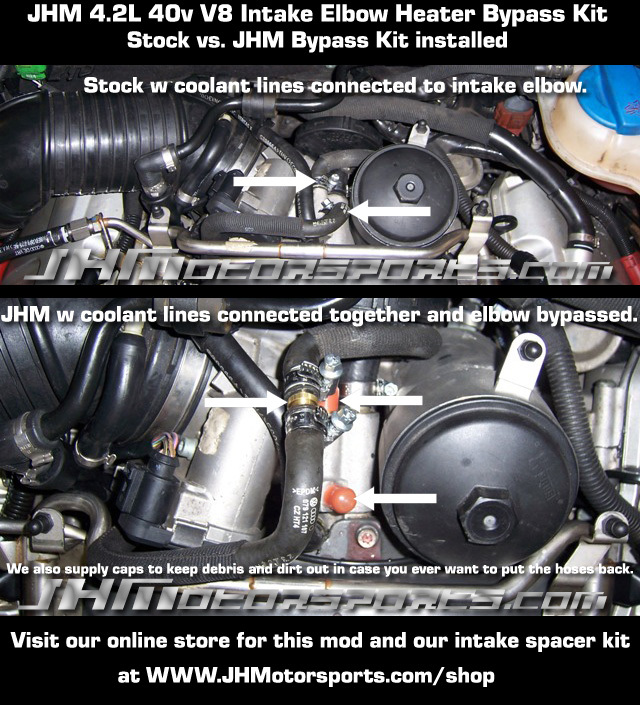 Optional Intake Elbow Heater Bypass kit for a low price, see dropdown box below. This helps keep the intake temps even cooler and takes 1 minute to install. Click Here for more information. NOTE: Some of the early 04 models did not have these coolant hoses. Check to make sure you have this before purchasing.